On June 17, 2014, Vincent Gabrielle Marco was born. 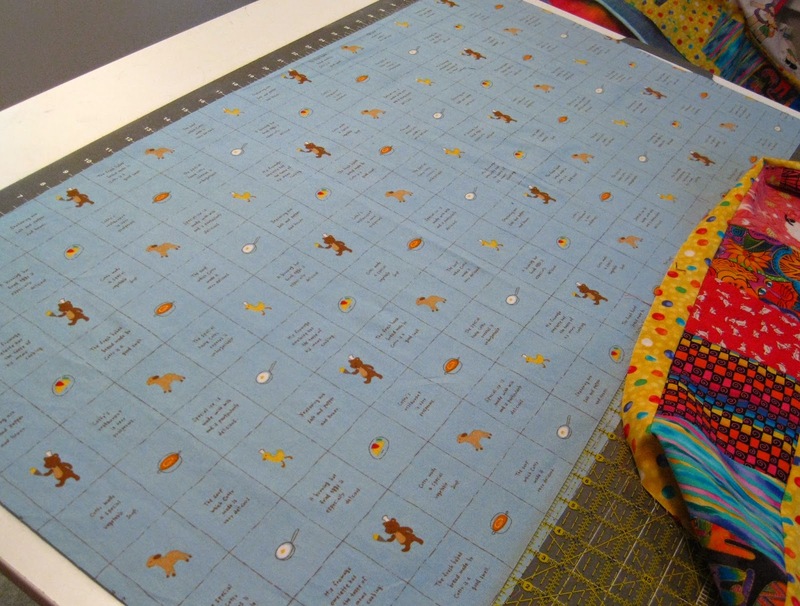 In celebration of this new little one in our family, I made a quilt of bright colors to welcome him. Here's a bit of the creative process with the making. I asked Correy, Vincent's mother what color scheme she would like. She suggested bright colors or camouflage--I got excited about brights. And then she had a pattern that she was excited about too. 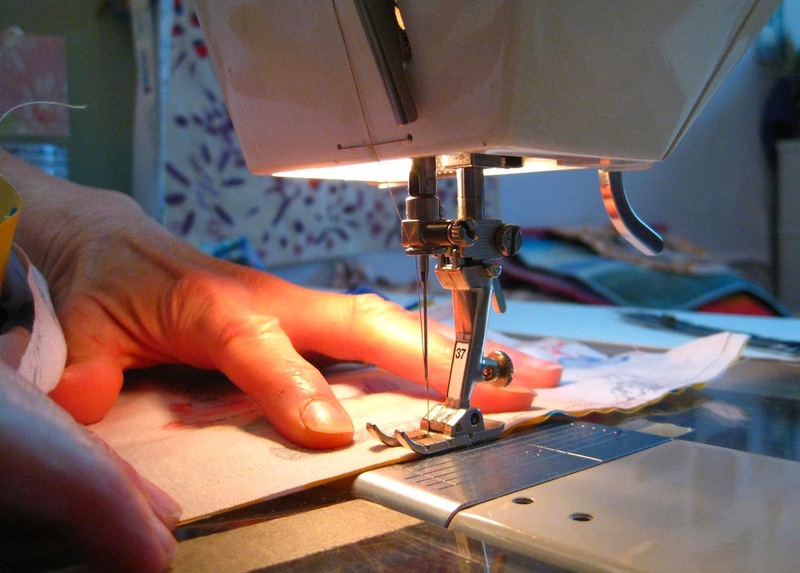 The pattern is a Theresa Porter design found in the Make It Yourself issue of Better Homes and Gardens Special Interest Publications, 2012. Wow, way to go to make it easy! 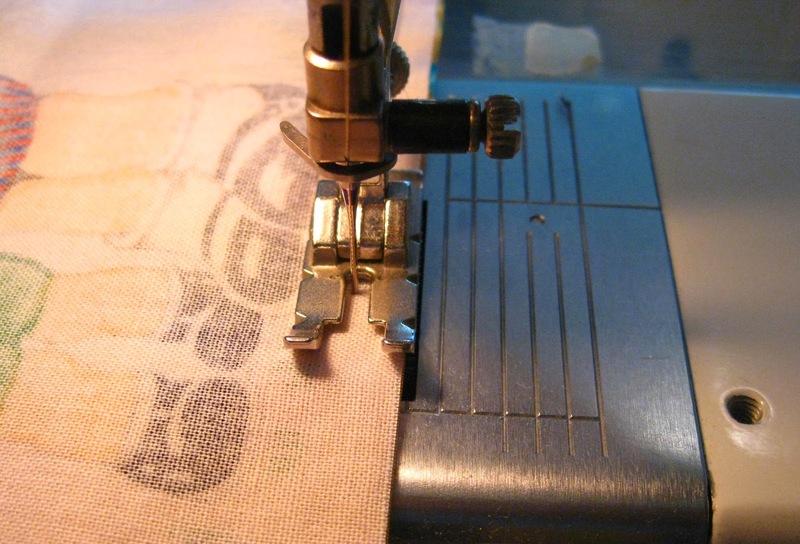 Stitching 1/4 inch seams for connecting the pieces. 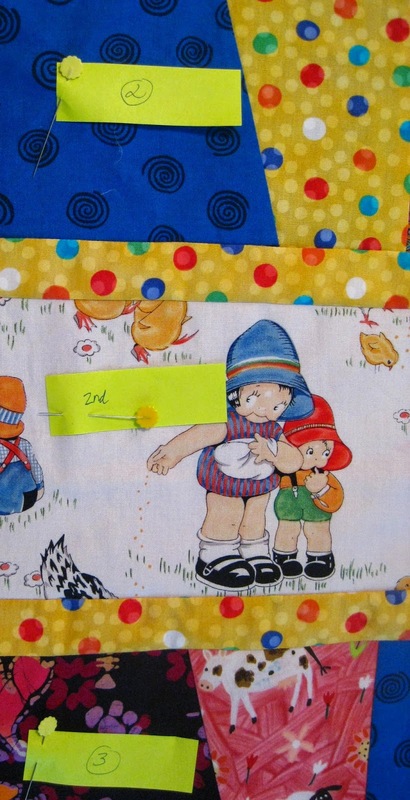 In this piece of fabric, the little bears and the chicks wear chef's hats. 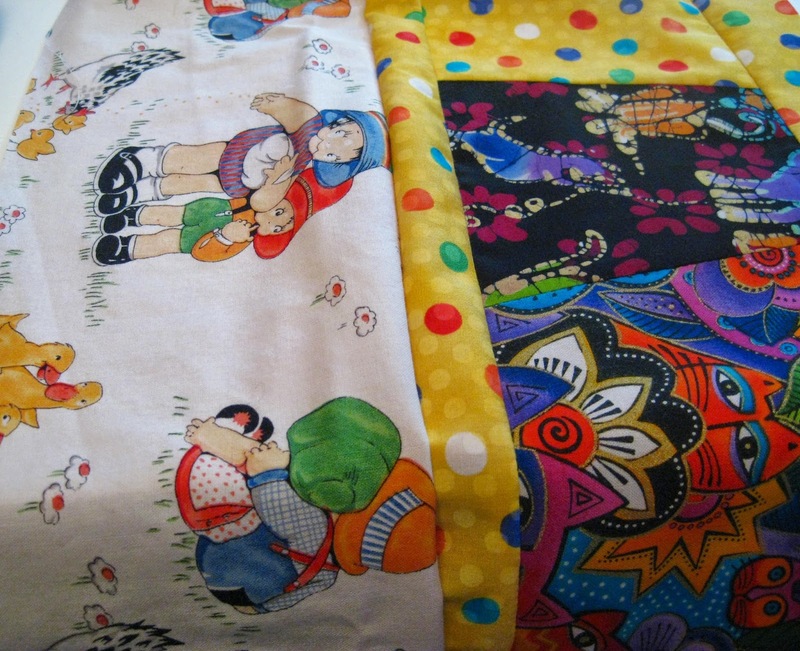 The fabric tells a story of Cotty. The strips are coming together. 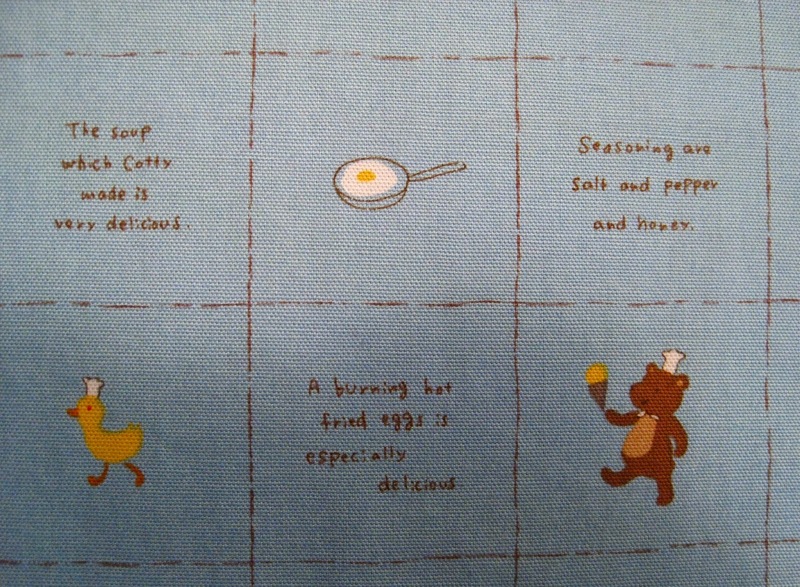 A detail of the story fabric: "The soup which Cotty made is very delicious." A simple drawing of a skillet and a fried egg. "Seasoning are salt, pepper, and honey." A chick wearing a chef's hat. "A burning hot fried egg is especially delicious." Cotty is holding an ice cream cone. I number the strips in the order that I want them. This keeps my color selections working together. And it is less confusing. 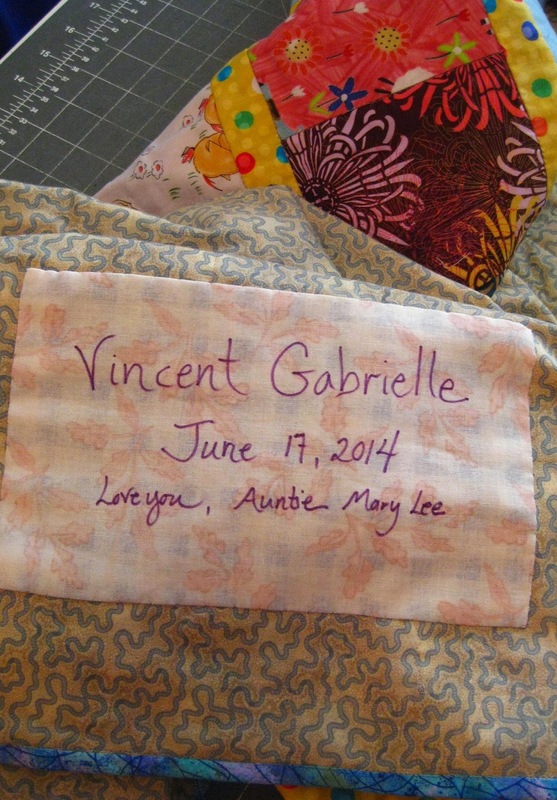 Flannel was used for the batting to create a lighter weight quilt for this summer baby. 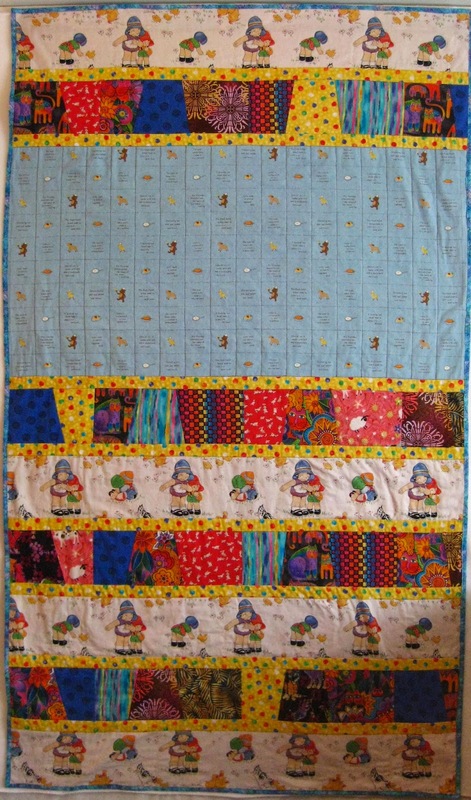 I machine quilted it in the ditch (sewing along the seams of the pieced fabrics) and some free motion around the little kids in the strips. 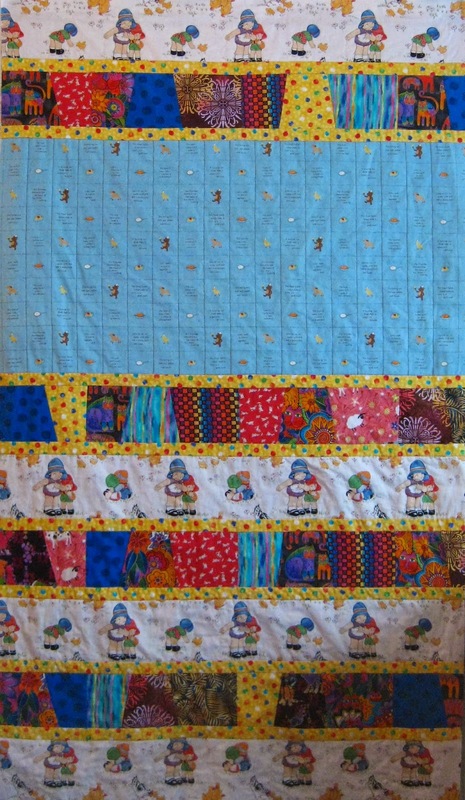 Completed quilt with blue binding. Finished size: 37.5" x 64"